Amazon: 40-60% Off Slippers For Women, Men and Kids - Today Only! Amazon: 40-60% Off Slippers For Women, Men and Kids – Today Only! I love getting and gifting slippers for Christmas, and if you are like me you’ll want to hurry over to Amazon.com where today only you can snag 40-60% off slippers for women, men, and kids! Here are just a few of the deals I spotted. There is a big selection of slippers available, so head on over to find your favorites. 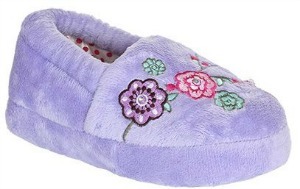 I like this cozy Tamarac by Slippers International Women’s Molly Slipper for just $23.99 (Regularly $39.95) with FREE Super Saver Shipping! 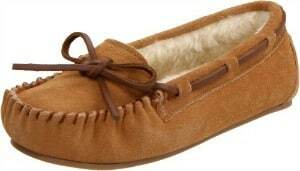 This slipper comes in several colors including red, chocolate, black, chestnut, grey and sand. How cute is this Stride Rite Little Boys’ Lighted Shark Slipper? The eyes even light up! 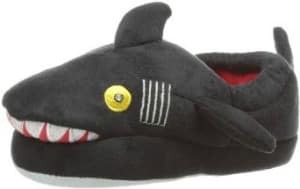 For the little guys in your life you can score this Stride Rite Little Boys’ Lighted Shark Slipper for just $14.00 (Regularly $24.00) with FREE Super Saver Shipping! For your little fashionista consider grabbing this adorable Stride Rite Little Girls’ Lighted Sweet Floral Slipper for only $14.00 (Regularly $24.00) with FREE Super Saver Shipping! She’ll love the pretty posies on her feet!